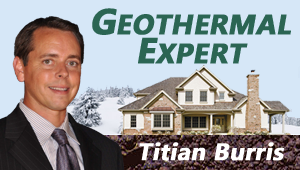 Titian Burris Titian has over 16 years of experience in the geothermal heat pump industry, including all aspects of design, manufacturing, marketing and sales. Currently, he is responsible for residential new construction sales and marketing efforts for ClimateMaster. Titian serves on the Board for the National Association of Home Builders and The Central Oklahoma Home Builders Association. He received his A.S. in marketing, from Oklahoma State and a B.S. in organizational leadership at Southern Nazarene. The Gary Sinise Foundation recently used a geothermal heating and cooling system in a home it constructed in Duluth, Minn., for a wounded Marine. Consumers often are swayed toward one vehicle or another by the miles-per-gallon rating. The state of Connecticut is using the MPG concept to help promote energy efficient homes going on the market. Trying to grow flowers in a greenhouse during winter in Maine without racking up hefty utility bills seems nearly impossible. Unless you’re relying on a geothermal heat pump system to keep temperatures at an optimal growth level. Central Oklahoma Habitat for Humanity completed its 300th home featuring a geothermal heating and cooling system. The units are saving families between $700 and $800 a year in energy expenses and helping make Habitat one of the most energy efficient homebuilders in the state. 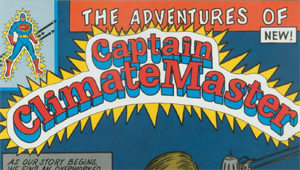 The superhero Captain ClimateMaster, created in the 1980s, found success on ClimateMaster’s commitment to manufacturing quality geothermal heat pumps – something the company continues today. The change of seasons might as well be gambling season for those who rely on fossil fuels to heat and cool their homes. Home builders often talk about the increasing desire among Millennials for energy-efficient homes. Those home builders are hearing it for a reason. 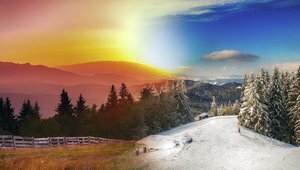 In this period of climate transition, homeowners will enjoy lower energy bills as their heating and air units aren’t working as hard to condition air against extreme cold conditions outside. This winter, most people strolled across chilly floors, though their homes were mostly warm and comfortable. A number of homeowners with radiant floor heating enjoyed floors that were as warm as the air. The geothermal company will have its residential geothermal and water-source heat pumps installed through the 1,800-lot community. As the popularity of geothermal heating and cooling systems rises, ClimateMaster has teamed with Benoist Brothers Supply to distribute its industry leading products throughout much of the United States. Tanks filled with gallons of propane sit outside the homes of millions of Americans. The fuel is doing more than putting warmth into those homes this winter. It’s also pumping up homeowners’ utility rates. Many homeowners believe their homes are sanctuaries from all that hovers invisibly, blocked by filters in their air conditioning systems. 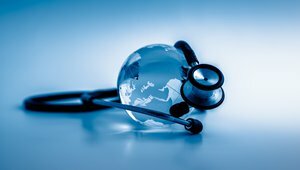 But the reality is that most filters pose little match to what lingers in the air, be it pollen, mold, dust mites or hairspray. In fact, standard filters only trap 2 percent of particles in the air. Oklahoma-based builder McAlister Construction Inc.'s residential development project will exclusively feature geothermal-based heating and cooling. As temperatures dip across the country, most homeowners are seeing their utility bills spike this winter. But not those who have homes outfitted with geothermal heating systems. As ClimateMaster broadens its geothermal offerings across North America, the company recently partnered with Independent Supply Co. to distribute its popular products and equipment around western Canada. Brent Gibson had long heard about the benefits of geothermal heating and cooling systems. So when the Edmond, Oklahoma, builder decided to construct his new home – the last for he and his wife, he says – Gibson outfitted the structure with the underground system noted for its effectiveness and efficiency. The community of Flint teamed with the local university to refurbish an aging home east of downtown. The product of a five-year partnership, the structure is being used as a special house for students and the city. Old Man Winter has gripped most of the nation with frigid temperatures and a heaping of snowfall. However, those benefitting from the consistency of a geothermal system, their heating costs have been as low as any other month of the year.